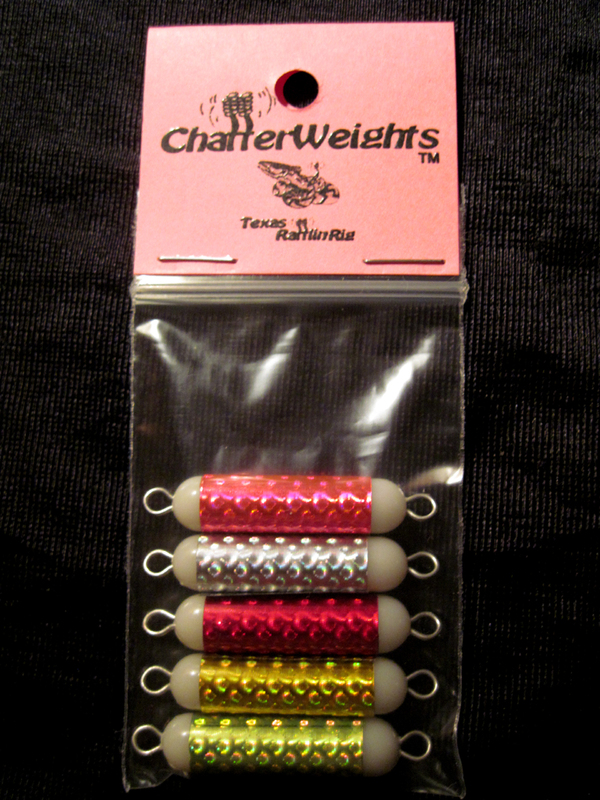 ChatterWeights & Floaters Available in 4 Holographic Colors. Why use ordinary lead weights when all they do is weight you down! Add the proven attractants of sight and sound with these unique ChatterWeights. It is a proven fact that rattling sounds are an allure that triggers the feeding instinct in all game fish. Stimulating their sense of sight will not only continue to draw the fish to your bait or lure, but also trigger their instinct to feed. 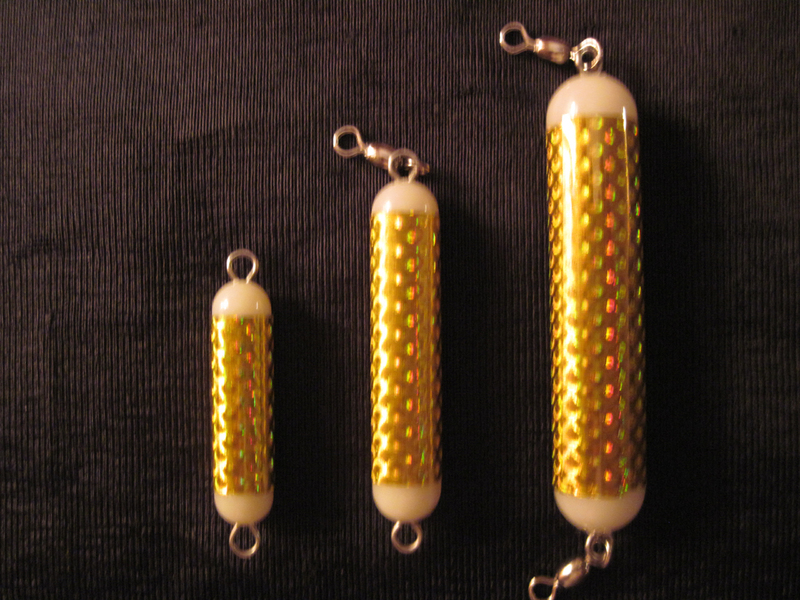 The holographic exterior sends out flickers and flashes of light all around your lure or bait, simulating the flickers of pods of baitfish. When you get the lead away from your favorite soft plastic, you will free up its action in the water to look more fluid and natural, like a real baitfish. All you have to do is tie the ChatterWeight to your line. Then add an 18” leader to the end of the ChatterWeight, and tie only a hook to the end of the line. 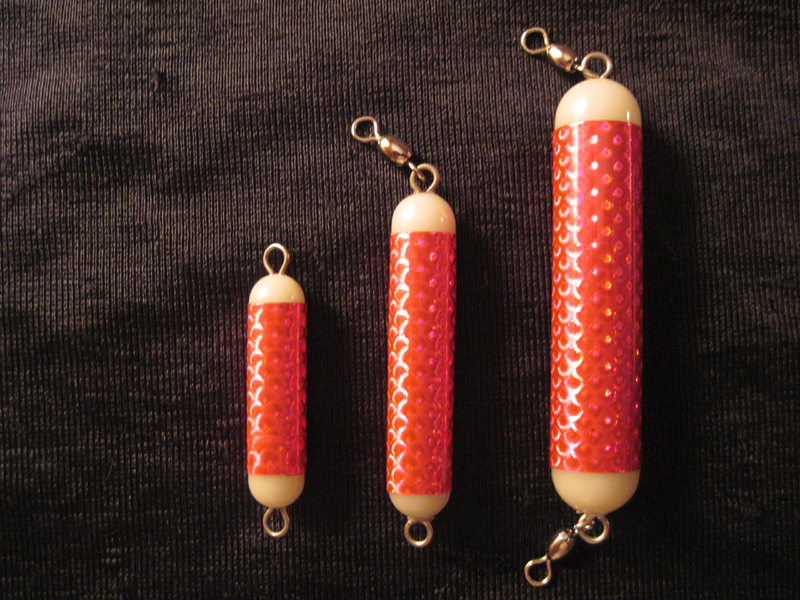 Now you are ready to thread your favorite soft plastic or live bait onto the hook. You will achieve an awesome presentation to the fish that adds sights and sounds needed for that extra advantage. "The Hottest Croaker Rig on the Texas Coast"
Tie one of the Mini-ChatterWeights to the end of your line. Add a 12"-14" leader on the other end of the rattle. 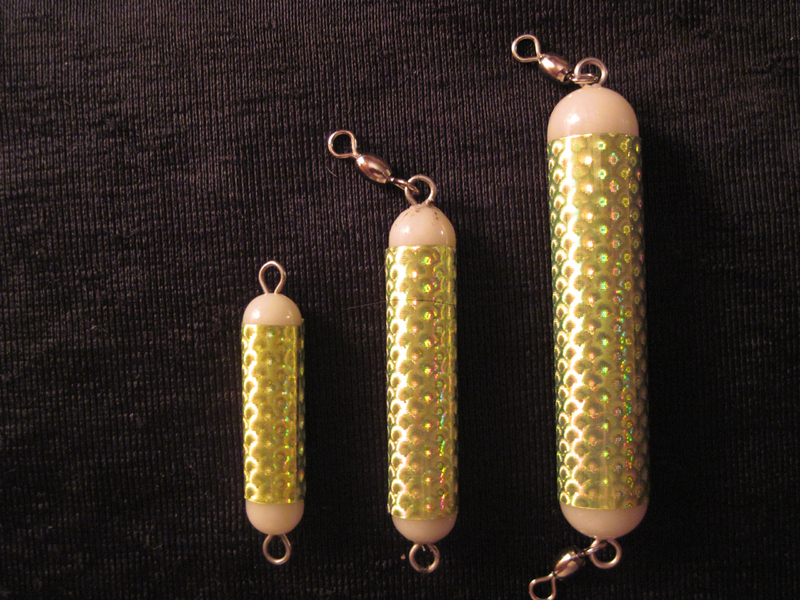 Tie on your favorite style of hook to complete one of the best live baitfish rigs around. Guides from Galveston to Port Mansfield are raving about the success of this awesome set-up. 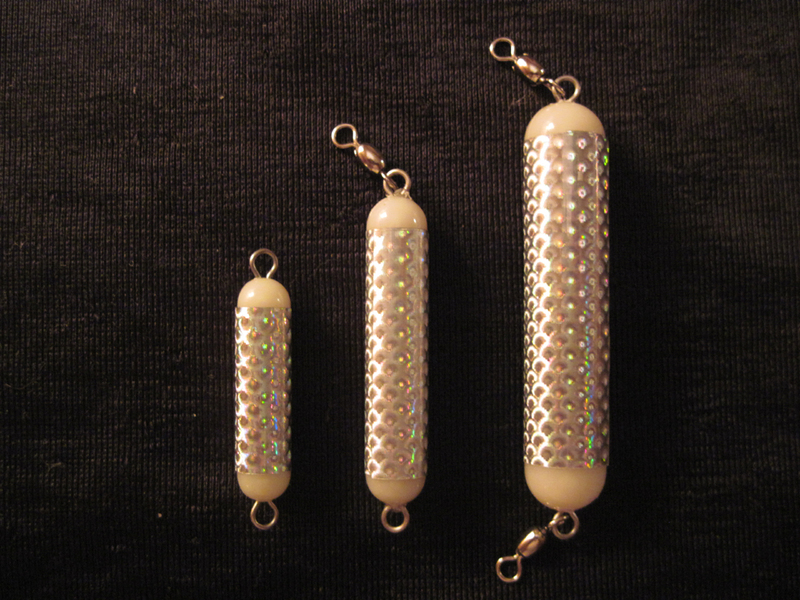 The Mini-Chatterweight has just enough weight to get the Croaker, Black Salty or your favorite baitfish to the bottom. Every time the baitfish swims the Chatterweight rattles and adds that little extra Trout, Redfish, and Flounder can't resist. 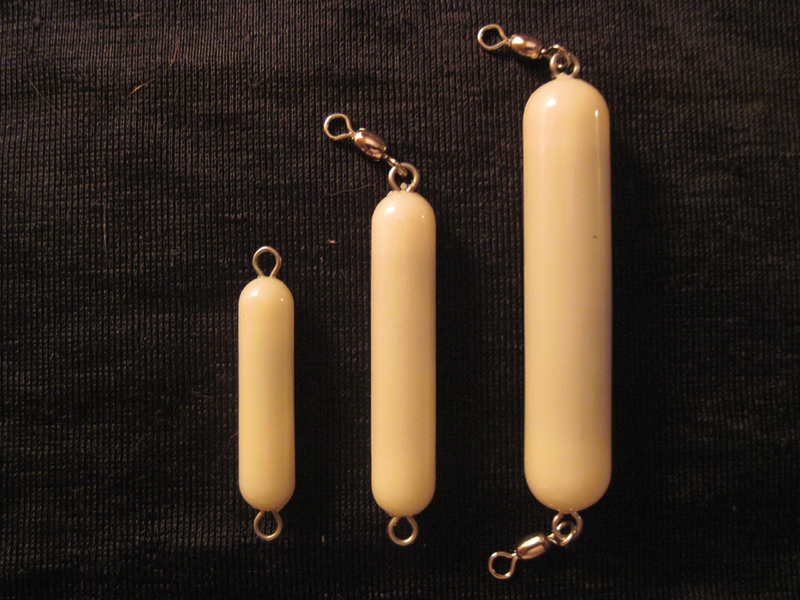 The magic in this set up is that when fish pick up the bait, they feel virtually no resistance due to the air trapped inside the rattle. It is very important that the fish do not feel resistance when picking up the bait or they will expel it. That is why the Mini-Chatterweight is the hottest new innovation in live bait fishing. Try one and you will be hooked too!